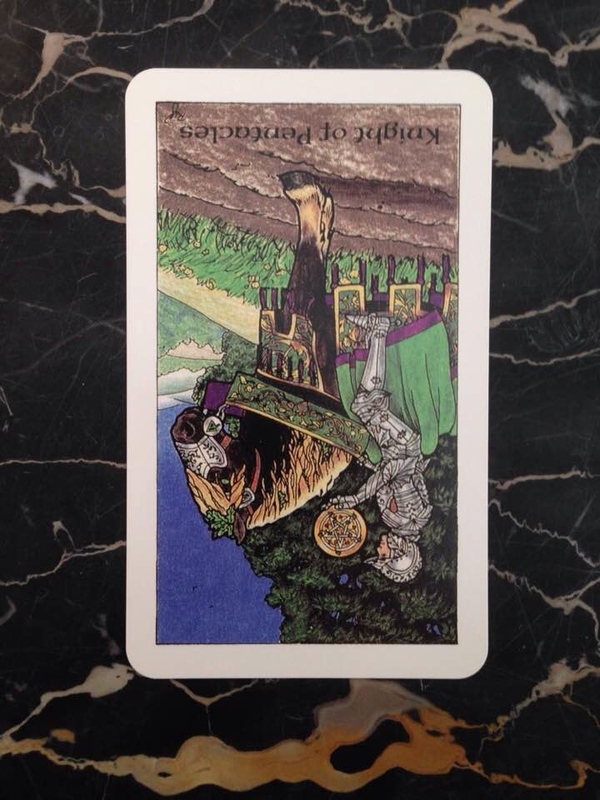 The Knight of Pentacles is a hard worker and dedicated to his mission. He’s well-organized and attentive to every detail of his responsibilities. He’s the least glamorous and exciting of the Knights - he might even be seen as boring - but he’s the most reliable and can always be trusted to do his duty. The fact that he’s appearing reversed in today’s reading suggests that your current approach to life could use more of his single-minded, diligent energy. Ask yourself if you can be counted on to do what people expect of you, and what you expect of yourself. Are you living up to your potential or are you wasting your time? Are you able to discipline yourself to pay attention to your tasks or are you prone to distraction and confusion? Maybe it’s time to challenge yourself to change your habits. Listen to this Knight’s advice - buckle down, focus, and get some serious work accomplished.